Kyla Pocket Maxi Just $18.99! Down From $50! Shipped! 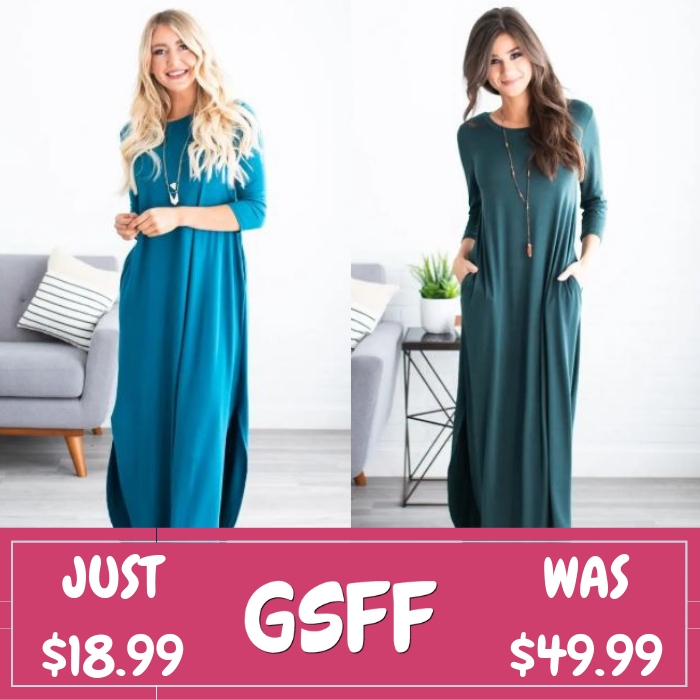 You are here: Home / Great Deals / Kyla Pocket Maxi Just $18.99! Down From $50! Shipped! Through February 9 only! Head over to Jane to get this Kyla Pocket Maxi Dress for just $18.99 down from $49.99 PLUS FREE shipping! Maxi dresses are always a good idea, and this Kyla Pocket Maxi is no exception! With 3/4 sleeves, a semi-loose fit, flowy curved hem skirt, and slits up the sides, this dress is so comfy, but also classy enough to wear anywhere you want to! The super soft fabric and beautiful maxi length makes this dress a perfect dress to transition into the cooler months.